Cole Spring Plaza (w/atrium in permanent renovation) with Photoshopped spray paint, July 9, 2017. (Donald Earl Collins). Well, actually, this post is about Cole Spring Plaza, the luxury apartment high-rise that me and my pregnant wife moved into in 2003, and recently moved out of with our nearly 14-year-old son at the end of June 2017. In all, we lived in the building in downtown Silver Spring for fourteen years and a month, or 5,144 days. For half of those days, it was a pretty good to solid place to live. Although there were a decreasing number of luxuries in our two-bedroom, two-bathroom flat on the eleventh floor, the apartment was a roomy one and our neighbors were friendly. And I could get a good night’s sleep many nights (when I wasn’t sleep-deprived from the first 1,859 days of Noah’s life, 2003-2008). Or, short of that, I could count on getting an afternoon nap, a short after-work nap, or weekend naps to recover. By the winter of 2011-12, I couldn’t count on that anymore. Not with United Therapeutics and their endless construction projects, underway off and on since 2005. They had torn down their old headquarters adjacent to the Montgomery County Public Parking garage on 1200 Spring Street to build a state-of-the-art solar and geothermal powered monstrosity, including an underground garage. For seven weeks between December 2011 and February 2012, the construction workers pounded away with jackhammers on granite boulders as I attempted to work and teach online at home. I nearly lost my sanity. Cole Spring Plaza, circa spring 2012 (before new double-paned windows; with trees & bushes in atrium), Silver Spring, MD. (http://www.australiansquashtour.org/). This, of course, was not Ross Management’s fault, the property managers for Cole Spring Plaza. Nor was the onsite property manager to blame, seeing that they had nothing to do with the jackhammers. What was their fault was that no one in the building had double-paned windows, ones that could seal the noise of downtown Silver Spring and of major construction sites out of our flats. Ross finally replaced our windows in July 2012, but only after it became obvious that more tenants than usual had started moving out. The granite boulders ordeal was but a symbol of the accumulation of the problems with our living arrangement at Cole Spring Plaza. None of these problems would’ve been a deal breaker for us when we first moved in back in May 2003. After four years in our previous luxury apartment, a 700-square-foot, one-bedroom place, the 1,350-square-footer that was our flat in Cole Spring Plaza seemed spacious. Sure, we knew that it didn’t have a washer and dryer in the unit, or valet parking, or a dry cleaning service on the premises, or a community gym or business office. But it did have the space we needed. It only became obvious after a few years why the “luxury” part of the sell to us regarding Cole Spring Plaza was a lie. The developers had built the high-rise in 1967, apparently with the idea that it would be a hotel at first. But with Silver Spring not exactly a business or tourist attraction a half-century ago, they settled on the luxury high-rise idea. In the thirty-six years before we moved in, little to no work had been done to replace old plumbing, to repair the central ventilation system, to make washers and dryers available in each flat, or to give each apartment its own central air and heating. This Oscar Madison-Felix Unger setup may have been the definition of a luxury high-rise back in 1973. But in 2017, was a higher end version of my time at 616 (a bit of an exaggeration — the rent was/is way too damn high!). The result of what we did know, combined with the numerous little things we didn’t know, meant a gradual decrease in the quality of living in our place over fourteen years. The plumbing issues meant for hard water stains that messed up our clothes when we washed them in the building, so by 2011, we were washing them off site. The lack of central ventilation exacerbated my sleep apnea and asthma symptoms, meaning less sleep over time. By 2012, there were two full months out of the year that we didn’t use our HVAC, one month because it was too warm for heat, the other because it was too cool outdoors for air conditioning. It was clear to me by the time our son had finished elementary school that it was time to move. Spring Colesville public parking (the garage we used off-on for 12 years), Silver Spring, MD, January 23, 2016. (Donald Earl Collins). But, move where, exactly? Did we want to stay in the area, or, especially with most of my job interviews taking me to Boston, California, Philly, and Baltimore, did we want to move out-of-town? Would we end up moving, but would I be stuck in long-distance marriage and fatherhood? That was always the main issue for me. Aside from that, so much had changed since the spring of 2003. A large reason for the choice that we made in Cole Spring Plaza was because we didn’t own a car in 2003. We had looked at the Nissan Xterra and Volvo XC90, but because we lived so close to a Metro stop, we hadn’t seriously considered buying one. That is, until our son came along. We hadn’t looked at other options because for us, there didn’t seem to be that many. United Therapeutics project after removal of last of garage, Silver Spring, MD, October 27, 2016. (Donald Earl Collins). 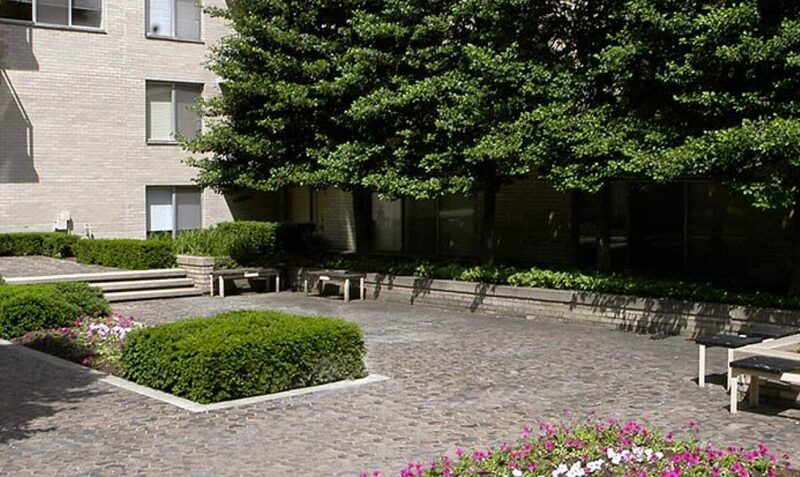 Finally, after Cole Spring Plaza decided that the best way to attract new tenants was to tear down fifty-year-old trees and decades’ old bushes and build a new atrium in June 2015 (which still isn’t complete), me and my wife both knew it was time. That, and United Therapeutics getting another sweet deal from Montgomery County Council Executive Ike Leggett and the Silver Spring Chamber of Commerce. 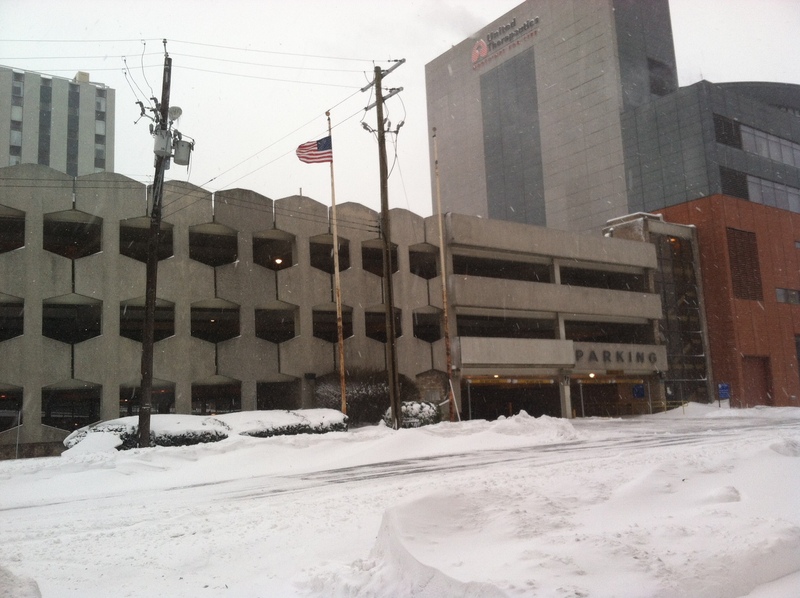 After six years of negotiation, the county sold them the parking garage conveniently located across the street from Cole Spring Plaza for $10.2 million. 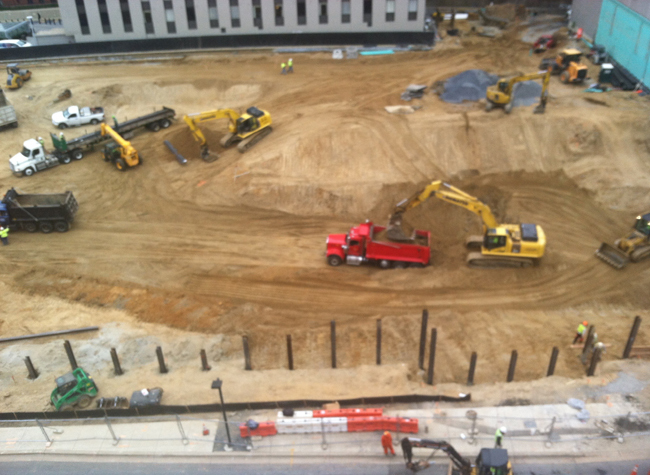 In the twelve months since, Whiting-Turner tore down this garage and has mostly laid the foundation for a six-story, 120,000-square-foot building. That, and the electrical and water and sewage work around the building, left us — and especially mostly working-from-home me — feeling under siege. United Therapeutics project, Silver Spring, MD, June 19., 2017. (Donald Earl Collins). So we looked, at places in Baltimore, but mostly, between Rockville, Silver Spring, Takoma Park, and even in Bethesda (whose lily-Whiteness I can’t stand), and settled for a town home a couple of miles from our old place. Here, the loudest thing I’ve heard so far is a garbage truck and birds fighting over food. I wouldn’t recommend Cole Spring Plaza to anyone except to college students, especially if five of them want to room in a two-bed, two-bath flat (I met at least two groups of students doing exactly that). 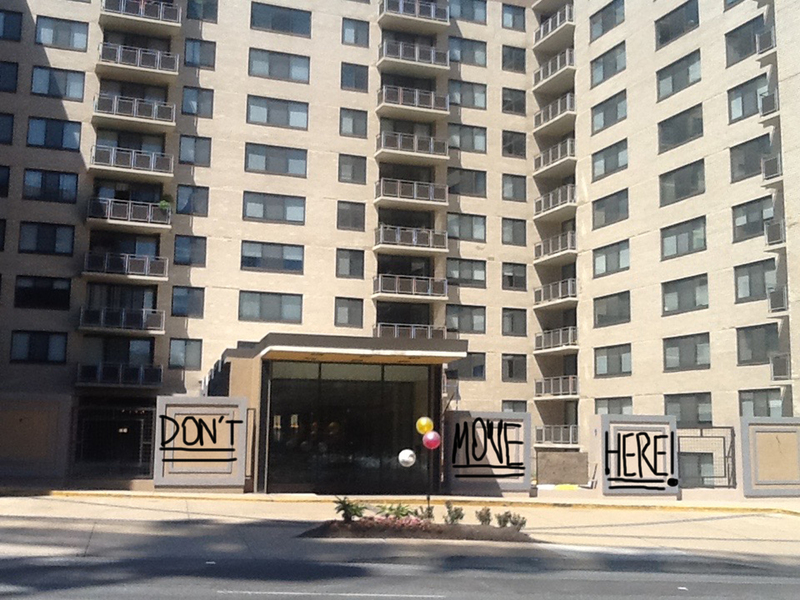 The building, like the rest of downtown Silver Spring, has changed, and not for the better. The building is in disrepair, and will likely get bought out by United Therapeutics in the coming decade. This isn’t a story of gentrification, for Silver Spring has been a mix of upwardly mobile ethnicities for decades, especially in downtown. No, this is another story of cash-strapped municipalities, the lobbying of Chambers of Commerce, sweet deals for politicians lining their pockets, and corporations encroaching on residential areas. And the story of a family who should’ve moved into a town home three years sooner.